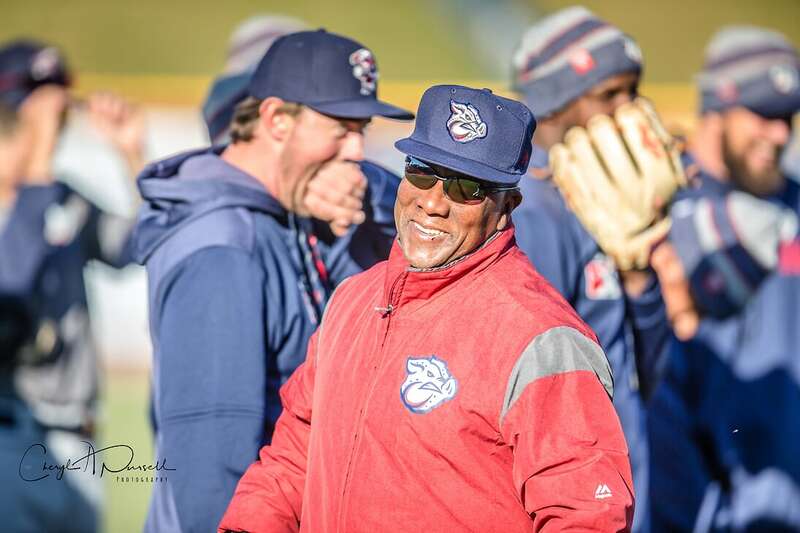 The 2019 IronPigs are in town and getting ready to play baseball. Tonight, the team faces off against their juniors from AA Reading out at Coca Cola Park at 6:30PM. It will be chilly, but the weather looks nice and it might be worth a trip out to the park. Tickets are still available, only $6, with the proceeds going to IronPigs Charities. Many season ticket memberships include free tickets to this game: Call your ticket rep right away if you haven’t already made arrangements. Seating is general admission, lower bowl only, on a “first-come” basis, so get there early if you want to stake out a particular seat. I always kinda like the “Manager Meeting” portion of not only Media Day, but also on game days. It’s a good time to get updates on pitching schedules, injuries, player transactions and other behind-the-scenes stuff going on with the team. Below we hear Gary’s first take on his 2019 squad, as well as some info on the pitching rotation to open the season. Video by Cheryl Pursell. This takes us through the end of the opening home-stand. The only real note of interest is that LHP JoJo Romero gets pushed pack so that Anderson can stay closer to schedule–perhaps we’ll see JoJo in tonight’s game so that he can get some work in. The other major impression I had, was that when Gary mentions positional flexibility (and his team has a lot of it already built in) he says he’s going to lean into that–and that sometimes veterans don’t need to play every day to stay ready if the big club needs them. My takeaway from that is that he sounds like he’ll be getting some of the younger players in the games on a regular basis–guys like Tomscha, Canelo, Grullon, Hernandez and others. That’s good to see, I had been slightly concerned that some of those guys might need to wait their turn a bit this season. More coverage from media day will be forthcoming all the way through the opening home series. Stay tuned!